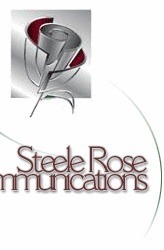 Steele Rose Communications is a group of dedicated public relations professionals whose expertise focuses on viewing corporate marketing issues from new and fresh perspectives. With core services ranging from Brand Marketing and New Product Introductions to Crisis Management and Social Issues Marketing, Steele Rose utilizes creative strategic thinking and precision tactical implementation to provide clients with comprehensive and quantifiable results. Don't just think smart, think different.